Vivo IPL 2019 Schedule : Welcome to CricketHerald.com’s coverage of the Vivo IPL 2019, the twelfth edition of the Indian Premier League for the IPL 2019 schedule list. In this post, we bring you Vivo IPL 2019 Schedule or in simple words – the Vivo IPL 12 Schedule or the IPL 2019 time table list of the twelfth edition of the Indian Premier League which is all set to begin from March 23 and the IPL 2019 scores of all matches. Make a note of the IPL 12 match timings and Vivo IPL 12 match venues in our Vivo IPL 2019 Time Table list and IPL 2019 schedule list which you can find below. Follow CricketHerald.com for dedicated coverage of the Indian Premier League 2019. So what is it like in the Vivo IPL 2019 schedule list ? For starters, there are going to be eight teams as usual. The Vivo IPL 12 Schedule consists of 56 group matches as per the IPL 2019 time table list with each side playing against the remaining seven teams twice. This is followed up by the four play-off matches – two Qualifiers, an Eliminator in between the two and lastly the big Final. 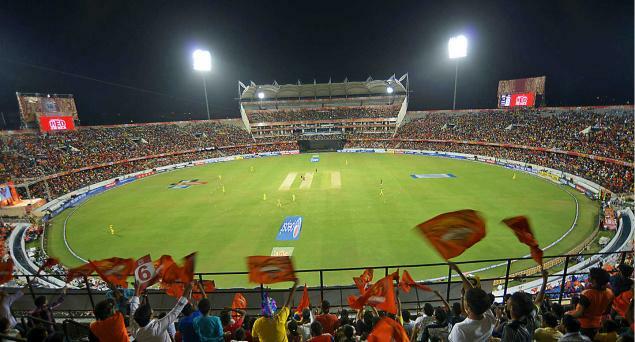 Vivo IPL 12 begins on March 23, 2019 at the MA Chidambaram Stadium in Chennai and will be wrapped up on May 19, 2019, making it a total of 60 games in the Vivo IPL 2019 Fixtures. You can get the IPL 2019 scores of all matches here. IPL 2019 Schedule List | IPL 2019 Scorecards | IPL 2019 Time Table. Photo courtesy of Jms1241/Wikipedia.org. Thank you for visiting our website for the Vivo IPL 12 Schedule aka the Vivo IPL 2019 Schedule List. Hope you got all the required information on Vivo IPL 2019 Fixtures and IPL 2019 scores of all matches. Don’t forget to visit this page again to check the Vivo IPL 2019 Live Scores and the IPL 2019 time table list.